The assertions came a day after Election Commissioner OP Rawat said in Bhopal that the poll body would be "logistically equipped" by September 2018 to hold simultaneous polls to the Lok Sabha and state assemblies. New Delhi: The Congress asserted today that it was ready for early Lok Sabha elections along with that of state assemblies, while the Left parties opposed any move to hold simultaneous elections. Chief spokesperson of the Congress Randeep Surjewala said the government must have sounded out the poll panel about advancing the polls and asserted the people were waiting to give a "befitting reply" to the Modi government as they were fed up with Prime Minister Narendra Modi and his 'jumlas' (rhetoric). The CPI and the CPI(M) said the central government was not empowered to take such a decision unilaterally. "The Election Commission must have been sounded out by the current BJP government that it was going to prepone the parliamentary elections. "The Congress Party has no such knowledge. However, we are prepared to face election at any time, for the people of this country are fed up with Prime Minister Modi and his 'jumlas' and the way his government is going about decimating jobs, businesses as also trade and agriculture," Mr Surjewala told reporters. When asked about the Election Commission's (EC) take on simultaneous elections, the Congress leader said the Election Commission has a constitutional obligation to conduct free and fair elections and be ready to conduct election with appropriate notice from the government. "I think the people of this country will give a befitting reply, just like they gave in 2004 during 'India Shining' to the Vajpayee government if elections are preponed, for people are waiting for elections to happen so that they can actually ask Modi-ji, where is the 'Achhe Din'?" he said. CPI leader D Raja alleged that the Election Commission was "toeing" the BJP line on holding simultaneous polls to the Lok Sabha and assemblies and termed the proposal as "not feasible". "It is the BJP line, the ruling party has always propagated one nation, one culture, one poll theory. And now the Election Commission (EC) is also speaking in the same language. It is toeing the BJP line," Mr Raja said. The CPI leader said the Constitution has clearly defined multi-party democracy and "simultaneous polls are not feasible as the central government cannot force all state governments to go for polls during Lok Sabha elections". He said the Constitution is very clear regarding the tenure of assemblies and the Lok Sabha. 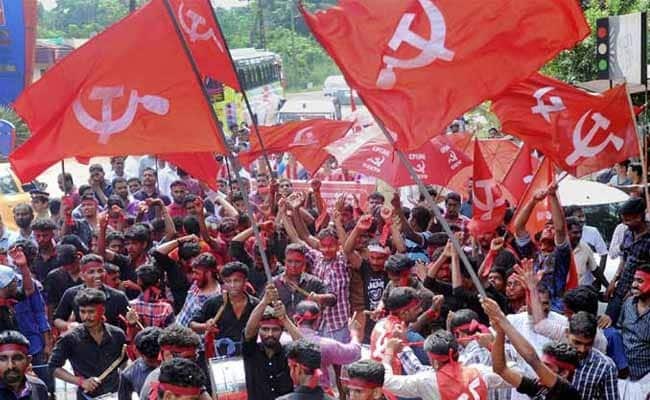 CPI(M) leader Brinda Karat criticised the simultaneous polls proposal and said that it was "a political issue and cannot be decided by an individual". "It cannot depend on the whims and fancy of individuals. Modi-ji can't just one day decide that the Assembly and Lok Sabha polls should be held simultaneously and wants all the institutions to accept it. This is not democracy," Ms Karat said. She said the tenure of the state assemblies are fixed for five years and in no circumstances can it be changed. The announcement by the poll panel came days after it issued a formal direction that VVPAT or paper trail machines would be used at polling stations in all future elections. "The Election Commission was asked by the Centre as what it would require for becoming capable of holding the parliamentary and assembly polls together. "In response, the EC had asked for funds to purchase new EVMs and VVPAT machines. The commission would be logistically equipped by September, 2018 to hold parliamentary and assembly polls together," Mr Rawat said. Some former election commissioners have said the Election Commission is capable of holding simultaneous polls to the Lok Sabha and state assemblies but the government needs to put in place sound legal provisions to carry out the exercise. Prime Minister Modi and the BJP have been pressing for holding of simultaneous elections to help save time and the country's resources.